London, June 26, GNA - As more Chinese companies invest in projects overseas - and millions of its nationals travel abroad - Beijing will have to alter its long-adhered principle of non-interference in the affairs of other states, according to a new book. China's Strong Arm: Protecting citizens Abroad, launched at the International Institute for Strategic Studies in London last week, argues that China will have to become involved in other countries in order to protect its interests and citizens. For instance, in the wake of the Libyan uprising in 2011, China evacuated almost 36,000 of its citizens working in Libya. Earlier this year, Beijing sent a combat battalion to join the UN peace-keeping mission in South Sudan, where China has huge oil interests. This decision was not without controversy. 'During the mandate negotiations, the UN Department of Peace-keeping Operations expressed reservations that explicitly including the protection of [Chinese] oil workers could impair the neutrality of the UN mission,' the authors write. The growth of Chinese migrants in Africa has been exponential over the last few years, and this is causing problems for Beijing, which is trying to monitor the movements of Chinese nationals on the continent. For instance, although China evacuated some 36,000 Chinese workers in Libya, only 6,000 had been registered at the Chinese embassy in Tripoli. Chinese companies frequently bring in their own workers from China, providing little employment for Africans and few opportunities for them to master new skills and technologies. Then, once these projects are completed, many of the migrant workers just stay in the country - most of them illegally. They then get involved in illegal activities that have created tension within the local communities in which they operate. This was the case in Ghana in 2013 when illicit gold mining by Chinese illegal immigrant led to the Ghanaian government having to step in. According to the book, various Chinese government agencies, including the Ministry of Public Security, sent a mission to Ghana to hold discussions with the government. The book notes: 'The team also met with illegal miners and urged them to shift to legal activities or return to China. 'Before the joint working team arrived in Ghana in June 2013, Accra had launched a crackdown on illegal mining. The authors say that the shift in Chinese foreign policy towards a more interventionist approach abroad has not been the result of grand strategy, but an adjustment to unfolding events. Many in Africa believe that Chinese investment and influence on the continent will offer a way of lifting the standards of living of Africans. They greeted the arrival of the Chinese as big economic players in the region, which began in the mid-1990s, with great enthusiasm - especially the leaders of states whose economies depend heavily on minerals. China's share of the global consumption of refined metals rose from five per cent in the early 1990s to 45 per cent in 2010. The country's oil consumption increased five-fold during the same period. In 2002, Chinese trade with Africa was worth 13 billion dollars; a mere decade later, that figure had soared to 180 billion dollars, three times the value of US trade with â€¨ the continent. At the same time, China has been competing directly with Western countries in Africa by providing less stringent loan conditions, which have been welcomed by governments that face sharp credit restrictions or economic embargoes. Private and state-owned Chinese companies are also involved in major infrastructure projects for which generous loans have been provided. One country that has seen a huge rise in Chinese projects is Djibouti, whose government has been cautioned by the International Monetary Fund (IMF) not to be too over-reliant on Chinese financial largesse because this is increasing Djibouti's external debt, 60 per cent of which, it is reported, is owed to China. In January this year, the Executive Board of the IMF concluded a consultation with the government of Djibouti, noting that the country was enjoying strong economic growth supported by an 'ambitious infrastructure programme aimed at reducing widespread poverty and unemployment'. Critics of Djibouti President Ismail Omar Guelleh say he is pushing ahead relentlessly with Chinese-funded projects as part of his plan to extend his term of office in 2016 for a fourth tenure after the National Assembly removed the two-term limits on the presidency in 2010. But the critics warned that such over-reliance on Chinese financing could prove critical for the country if the government was unable to repay this huge debt to China. Last month, Doualeh Egueh Ofleh of the opposition Union for National Salvation in Djibouti, warned that the country would be in serious trouble if it defaulted on its debt to China. "When we take the loans from the World Bank and Western institutions, there is some control. Now with the Chinese, we take all possible loans for all projects without any control," he told AFP. Indeed, Djibouti has had cause to challenge the costs of Chinese projects such as the Addis Ababa-Djibouti Railway Project, part-funded by Chinese companies. Earlier this year, Djibouti accused China Civil Engineering and Construction Corporation (CCECC) of being $24 million over budget on the project. China is said to be using 'soft power' to extend it influence in Djibouti through funding huge capital infrastructure projects. China has had an embassy in Djibouti since 1979 and Djibouti opened its embassy in Beijing in 2001. At the same time many in Africa are asking what will happen when their governments fail to repay money owed to China. 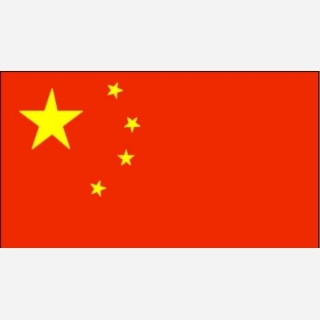 'The World Bank has advised African countries to borrow sensibly but in the case of China and Africa, caution has been thrown to the wind as governments on the continent quickly accept Chinese money without fully considering the implications of this,' noted one analyst in Nairobi.